Welcome to Woodman’s Brewery. We’re a small family owned & operated brewery. Our goal is to provide delicious brews and a welcoming environment for you! It all started with the simple idea to do something you enjoy, with the people you love, to be creative, and to share that with our community, friends, and family. 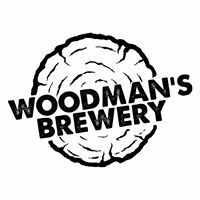 Woodman’s Brewery was created in our home kitchen, in a 5 gallon homebrew kit a number of years ago. The idea that was being tossed around in the back of our minds since that first questionable batch, all of a sudden grew fast with every new piece of equipment purchased and tasty brews developed. We had an opportunity to turn the cottage on our property to a brewery, and we thought.. it’s now or never. So we went for it! We’ve been working hard on the construction side of things for over a year now. Our friends and family helped make it happen, helping to rip up floors, smash walls, raise walls, paint, and lug equipment around. We enjoy creating new recipes and incorporating local ingredients whenever possible. Our goal is to have 5 beers on tap to start (but we may not be able to wait that long! ), one being a seasonal or specialty. We are inspired by where we live, and find it fun to experiment with local ingredients such as fresh fruits, maple syrup, and honey.